Everyone loved arcade games growing up. Many of us still do. And newer generations of kids are loving it as much as we did. Here you get a collection of high quality and educational articles which you can use for any number of purposes. 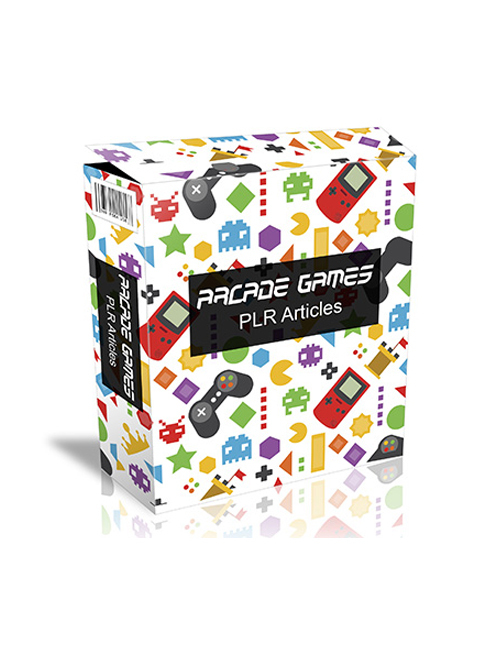 These articles cover everything from the most popular arcade games and the evolution of games to the advancements and growing popularity of the gaming industry and the large selection of titles available. Ever since Nintendo released it’s NES Mini, there has been a huge demand by gaming fans for more mini consoles of past classics including Sega, Atari, Commodore 64, etc. Upon seeing the tremendous profits from the re-releasing of the classic Nintendo consoles, these companies all jumped on the ship and released their own mini consoles to great success. It simply demonstrates the amazing and never waning popularity of gaming classics from over 40 years ago. And it shows the potential for developing content in this niche in where there is tremendous demand. Whether you want to use these articles for your own content on your blog or use them as a source to gain more subscribers, you’re getting awesomeness in a box. Grab this pack now.